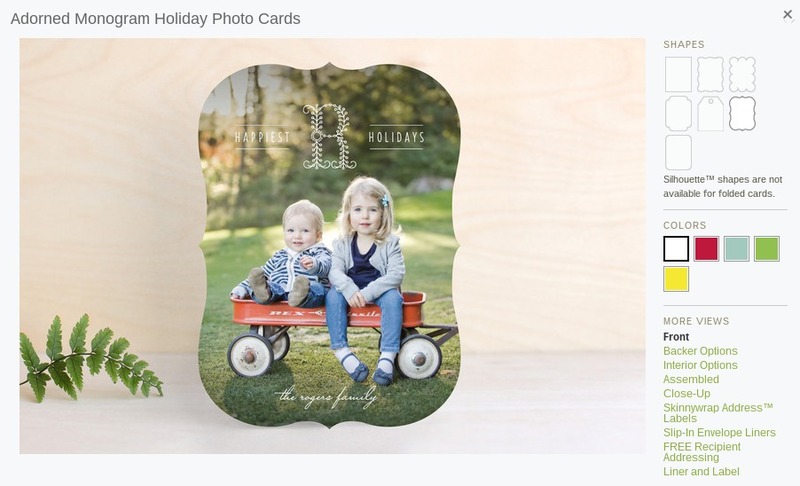 Post contains sponsored links from Minted. All opinions and thoughts are my own. One of my favorite parts about the holidays is the cards! It's the one time of year I can count on receiving fun mail! No one sends cards or letters anymore. Our mailboxes are full of bills, advertisements and junk 11 months out of the year. Heck, I didn't even receive any birthday cards in my mailbox on my last birthday! But I can always count on Christmas. It's the one time of year people love to send mail! I'm so glad that this tradition hasn't lost it's way in our overly techie society. Thanks to my awesome, photographer sister, we have a photo shoot every fall. I get to pick out my favorite photos to send in a Christmas card to all of our friends and family. I could spend hours pouring over all of the photo card designs trying to find which one fits us best each year. 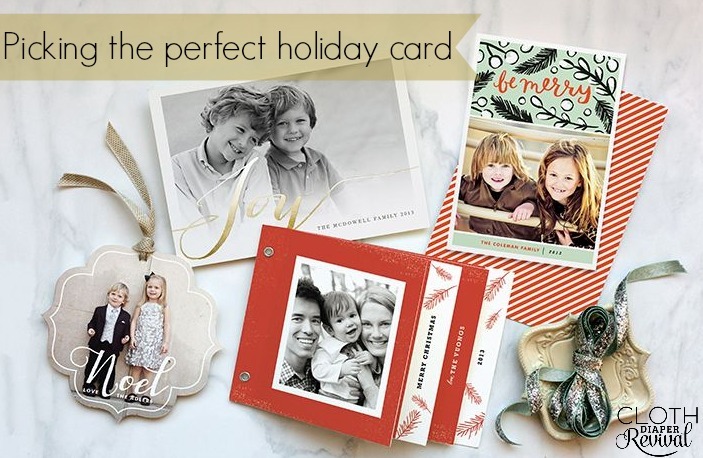 Minted has over 600 holiday photo cards to choose from and they make it easy to pick the one you love! 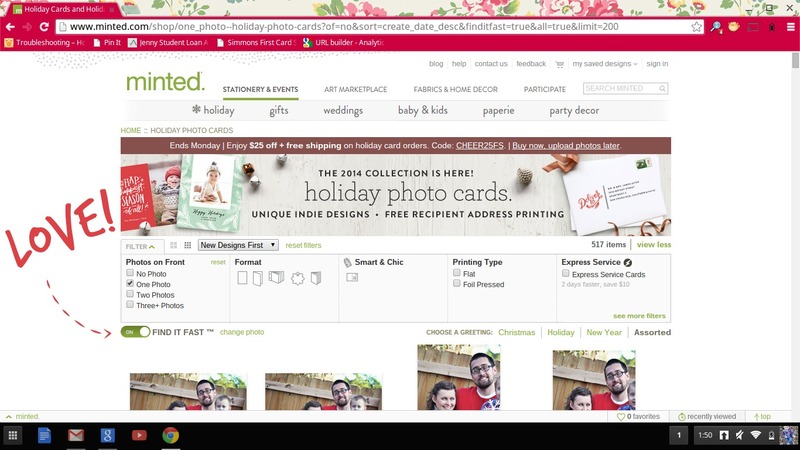 They have this really cool design feature where you upload your own photos that you want to include in your design. Then while you're browsing the hundreds of designs available, it's easy to see which ones will work best for your photos. 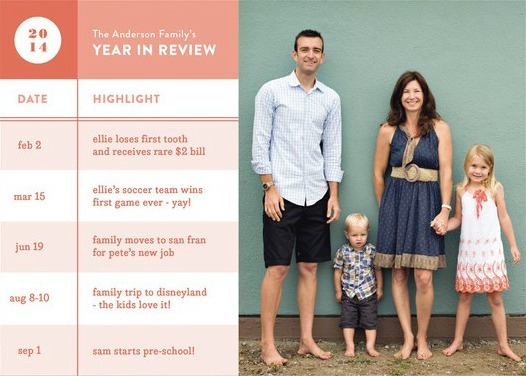 Or share the highlights from your family's year. 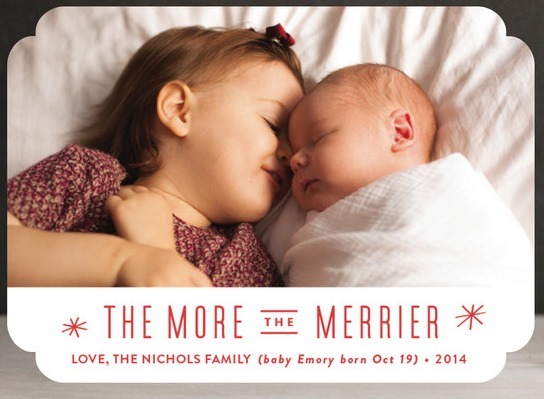 If you added a new baby to your family this year, how perfect is this card! 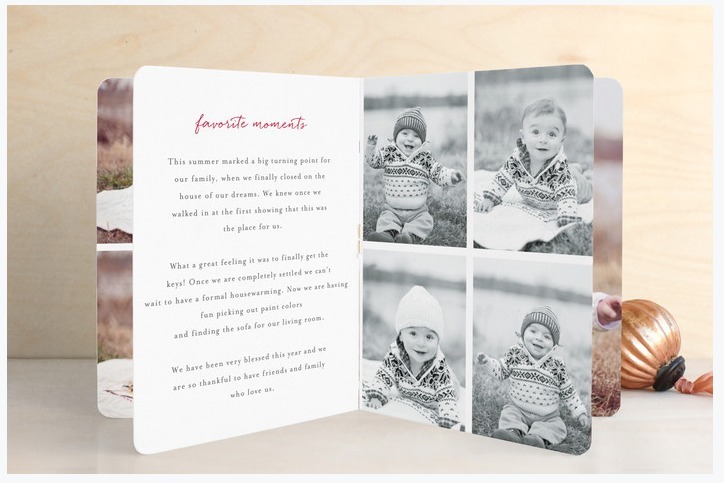 I love these photo postcards from Minted! This is a great way to save money during the holidays! 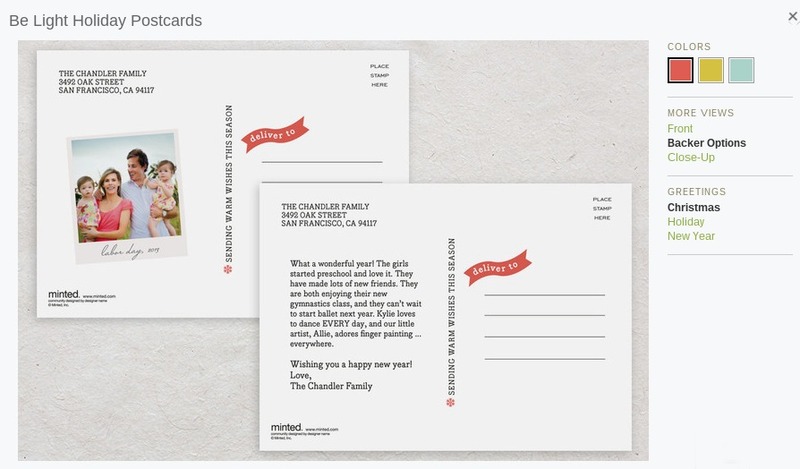 Did you know that a postcard stamp is 15 cents cheaper than a regular stamp? That may not sound like much, but when you have a lot of cards to send out, every little bit counts during the holidays! Not only do you get to send a photo with these postcards, but you can send a message on the back! 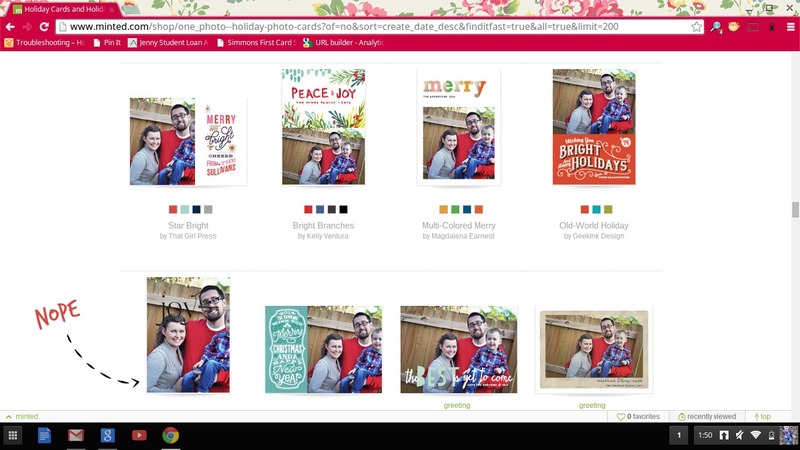 Or if you want your cards to stand out this year, Minted has shaped cards that customizable. You pick the design and shape you like best. You can even play around with the color schemes. 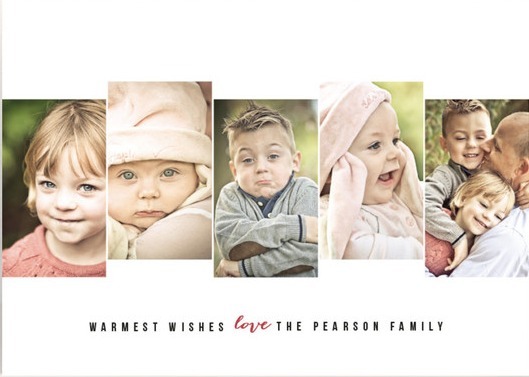 I can't wait to see all of my friends and family's holiday cards displayed on our wall this year! 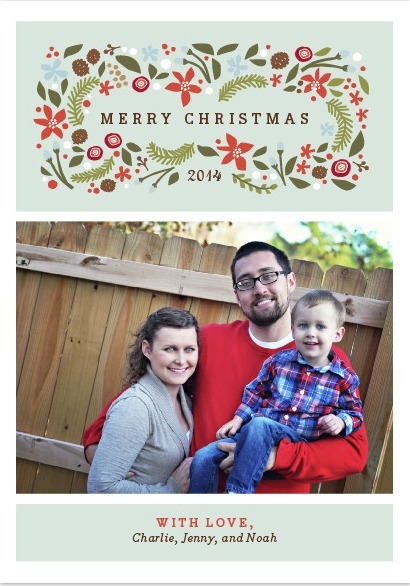 And I can't wait to design our own Christmas card to send out! 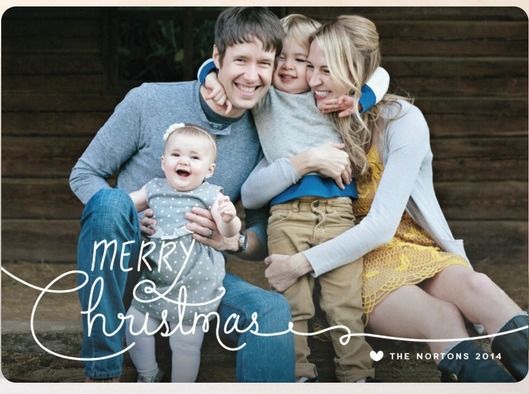 Minted has some great coupon codes to help you save on your holiday cards! If you order by November 10th you can get free shipping and $25 off your order with coupon code CHEER25FS! 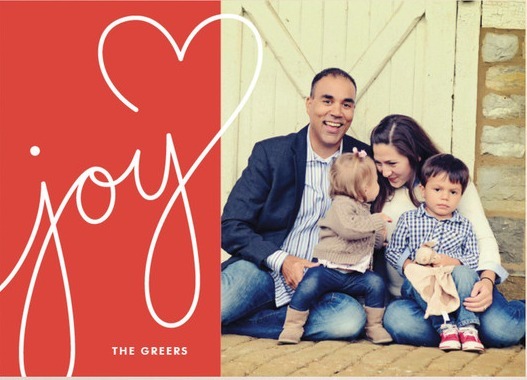 Do you send out holiday cards? What kind of cards are your favorites?